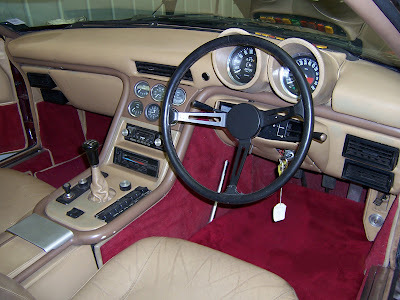 I’ve looked at Ogle previously, particularly its SX1000 mini based car, this though is a whole different level. The original idea came from Ogle founder David Ogle, who never saw the car become reality, the project was given the go ahead following his death and funding by tobacco company W.O.Willis who wanted a car to promote its new cigarettes. 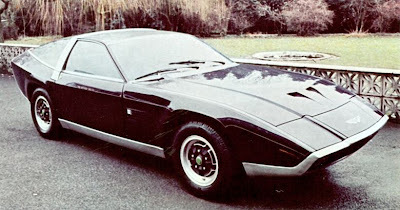 Ogle took an Aston Martin DBS V8 and transformed it in to the futuristic vision. 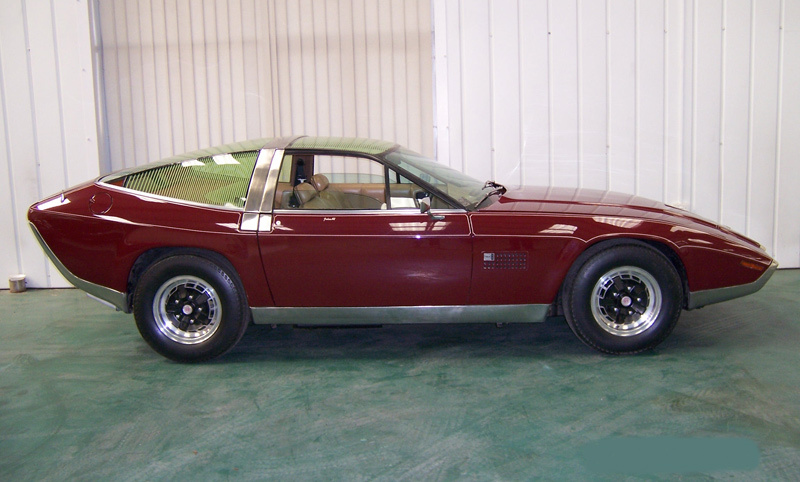 The original car was finished in dark blue with gold pin striping to match the cigarette branding and debuted at the Montreal Motor Show in 1972, however after the brand failed the car was repainted Embassy red. 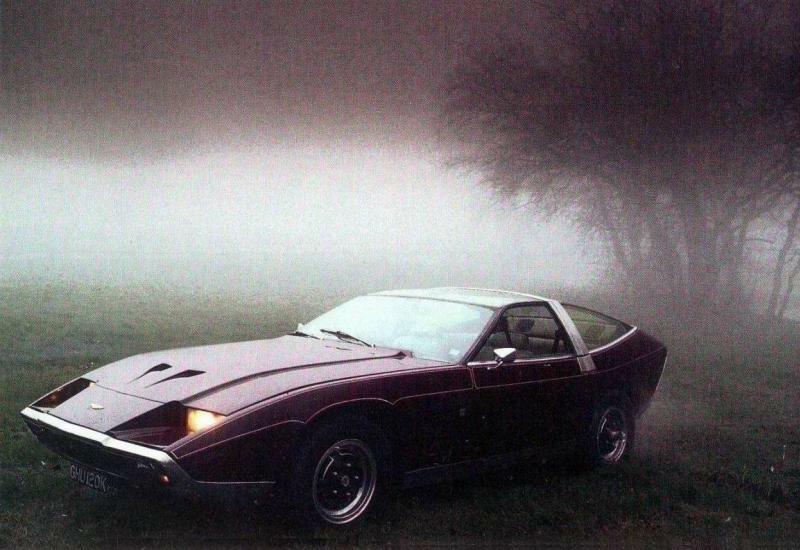 From the pictures below I think you’ll agree the original colour scheme suited it much better. 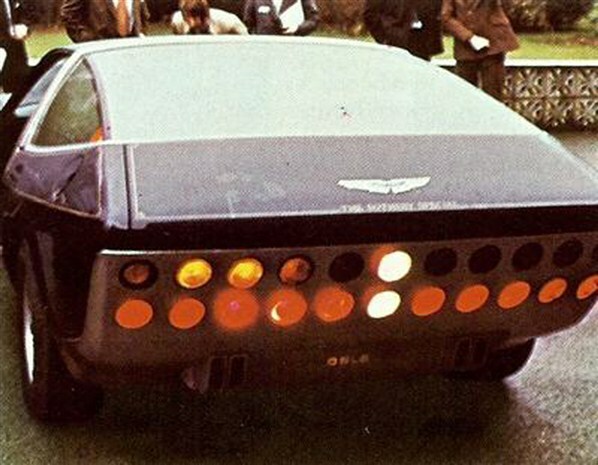 The most striking feature of the car has to be the 22 rear lights, which had a bar effect for braking across the bottom, the harder you pressed the brake the more lights lit up!!!! 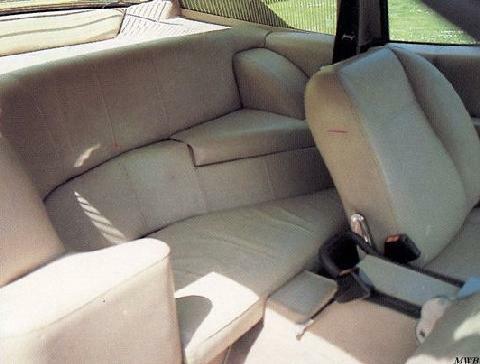 There was also an unusual detail in the interior as this car was a 3 seater, the rear single seat was at 90 degrees!!!! The car caused such a stir that a second car was commissioned for a private customer in 1973. He must have really wanted one as the reported cost was £28,750, the base DBS was only £8749!!!! 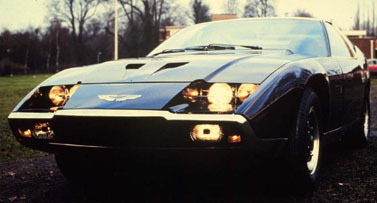 It recently sold at auction for just shy of £80,000.